ROSA INFRA is a 4 piece band from Moscow in Russia, was formed in 2006 by vocalist and bassist Nikolay Karpushin. 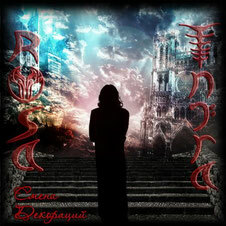 Tha band released their debut full-length album called "Smena Dekoraziy (Change of Scenery)" from the Russian label SOUND AGE on February 21, 2012. The CD has 11 tracks, including two instrumental compositions. String Trio (cello, viola, double bass) are featured on a song "Pis'ma Niotkuda (Letters From Nowhere") as guest musicians. Also the famous guitarist Ilya Mamontov (Epidemiya) is featured on a solo part. Characteristic features of the band is very low and powerful sound, a deep voice of vocalist and russian-language lyrics. 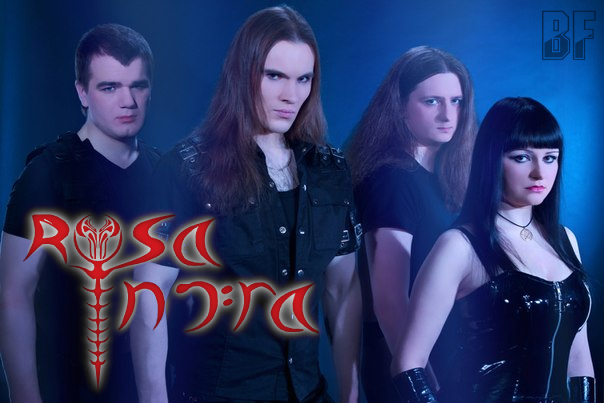 The album "Smena Dekoraziy (Change of Scenery)" has already got a positive response in the reviews on the European metal websites. Currently the band heats up fans of the British band "PARADISE LOST", the Finnish bands "TO/DIE/FOR", "EMBRAZE" and "Selena & Sin", to release the single "Alone Again".